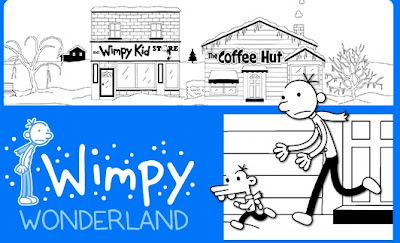 Poptropica Wimpy Wonderland is a new online game on poptropica's website. The game sets in a snowing day in a little town. All the kids are enjoying it except for Greg Heffley whose little brother Manny has gone missing. It's your job to find your missing brother but before you do that, you'll have to contend with other teenagers, crabby senior citizens and the whirley street kids. Basically, you must complete tasks and solve situations before you can move on to new areas of the game. You will also find items in a card form such as carrots, bike, scrap of paper that contain codes and a lot more. Analyze closely to figure out where to use them. As for the guide and solution, see if this (PWWW) Poptropica Wimpy Wonderland Walkthrough can help you out.